Once you have created a table you will need to populate it with some information, this can be done from your webpage or manually in phpMyAdmin. Adding Table Data. Now that you have created one or more tables in the contact database, you can start populating it with data. 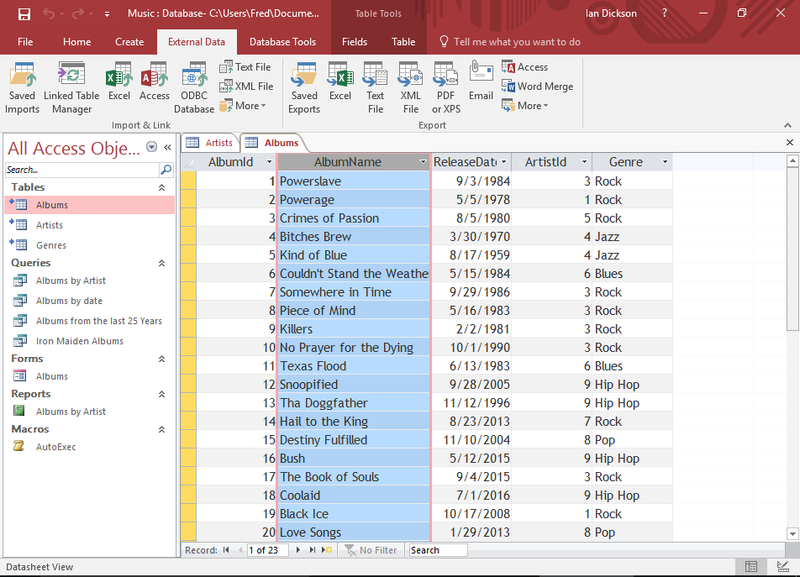 There are several ways that you can add records to your table. OleDbSchemaGuid.Tables value will return all the tables and views in a database. The information returned for this Guid value has 4 restriction columns that you can use to limit the amount of data should be returned from database. Following is the list of restriction columns.